While this is from a political website, the article isn't political in nature. It briefly discusses the upcoming film "Dear Mr. Watterson" and talks about what made Calvin and Hobbes appealing to readers. Good article, Bob. Thanks for sharing. 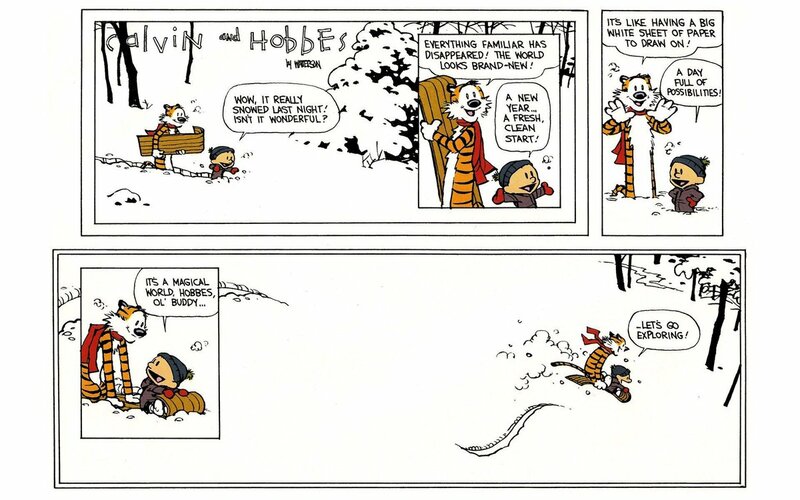 I miss C&H, but agree with Watterson's thoughts one going out before burning out, and the quality sinking. I resolutely and emphatically refuse to believe that this comic was posted 23 years ago. Wut? C'est impossible.